I'm Here. I'm Queer. What the Hell do I read? 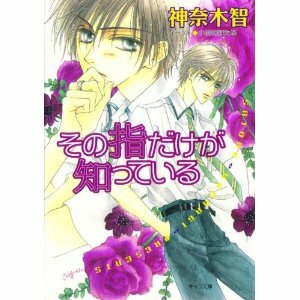 : Only The Ring Finger Knows - Gay Teen Manga! At Wataru Fujii's high school, it's all the rage to wear paired rings with the girl you love. Wataru wears one even though he's single, and one day he inadvertently discovers that his ring pairs up with that of tall, handsome and smart Yichi Kazuki, the senior idolized by the whole school. Though Kazuki has a reputation for being kind to everyone, when he deals with Wataru, he's strangely harsh. Their paired rings somehow draw them together and the two alternately clash and attract, as they must sort out their budding feelings for each other. and there are more titles out in the series. Add your review of any of these "Only The Ring Finger Knows" manga and novels in comments! My thanks to Robin Fosdick at the Corvallis-Benton County Public Library for her wonderful GLBTQ Graphic Novels for Teens list! I love the concept of the series. The manga is my favorite (it focuses only on the first book of the series, I think), but I've also read the novelized books (three total). The translation into English in those novels leaves much to be desired, though. I was alternately going, "Huh?" or slowing down to reread what I just went over or grinning over unintentionally funny word choices. Forgot to mention that the second and third books in the novel series follow the boys beyond high school and into college. The plot pretty much falls apart, and things kind of go in this direction and that. And Kazuki's an odd duck - he still retains some of his harshness toward Wataru, which made me want to kick him where the sun doesn't shine. "Only the Ring Finger Knows" is a good story. If you enjoyed it as much as I did, then I suggest you check out "La Esperanca", by Chigusa Kawai. The artwork is cute, and the story is full of strong, likeable characters. The story takes place at a boys' Catholic boarding school, where painful memories are dredged up for Robert, the Principal's delinquent son, by the sight of angelic Georges Saphir's effeminate face. Georges seems to resemble Robert's late girlfriend?